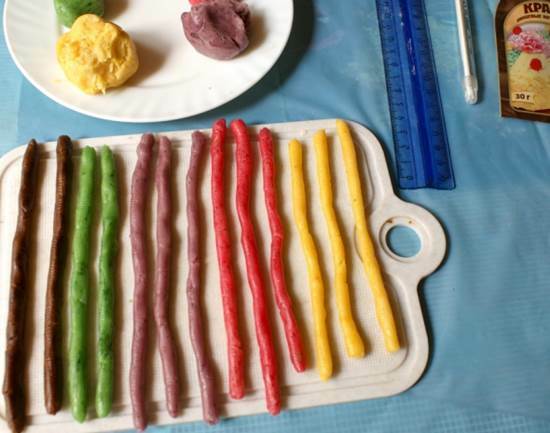 How creative and adorable are these edible colored pencil cookies! 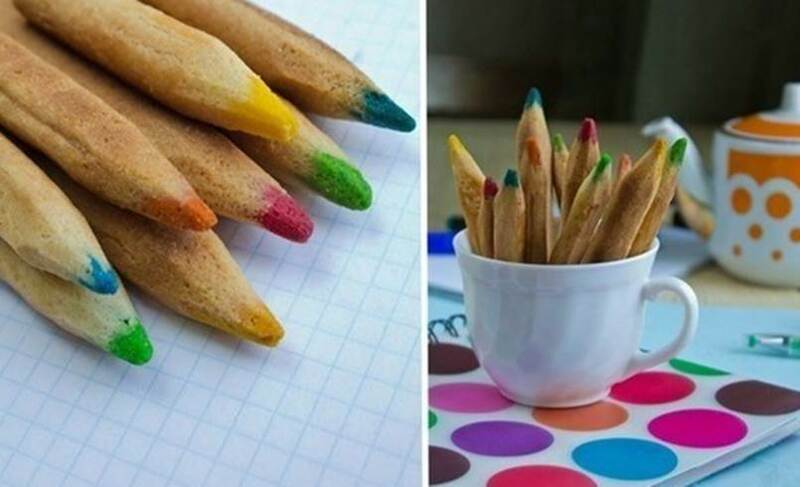 They look like real colored pencils, don’t they? They are great snacks for kids’ party and add a colorful, fun and interesting accent to your party table! You can use your favorite cookie recipe to make them. It’s just the presentation that makes these cookies so unique. Enjoy! 1. Soften butter with powdered sugar. 2. Add sour cream, egg yolk, vanilla sugar, and salt. 3. Add sifted flour to make the dough. 4. Divide the dough into 2 parts: 1/3 and 2/3. 5. 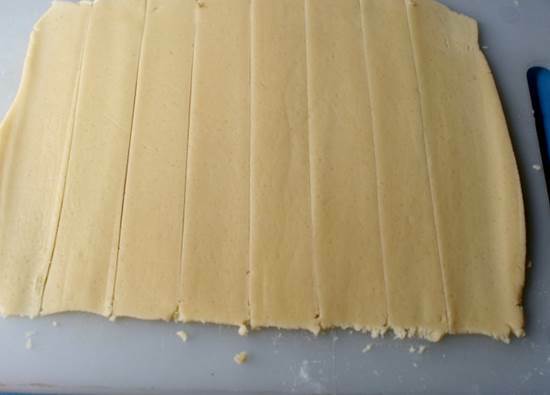 Roll the 2/3 part of the dough flat and cut it in rectangle strips about 15 cm long and 2.5 – 3 cm wide. 6. 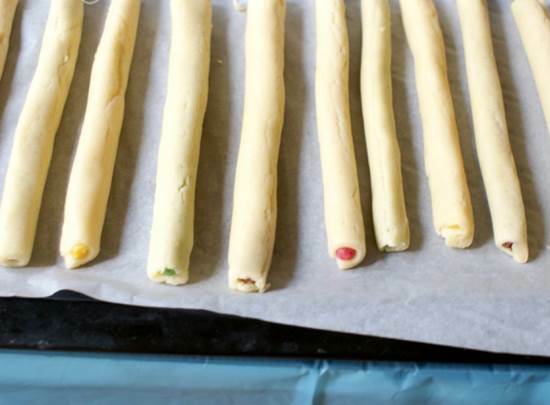 For the smaller portion of the dough, divide it into equal strips, add food coloring and roll them to form a cylinder with a diameter about 0.5 cm. 7. Place the colored strips on the rectangular strips and roll up carefully. 8. Brush the top of each strip with beaten egg. 9. 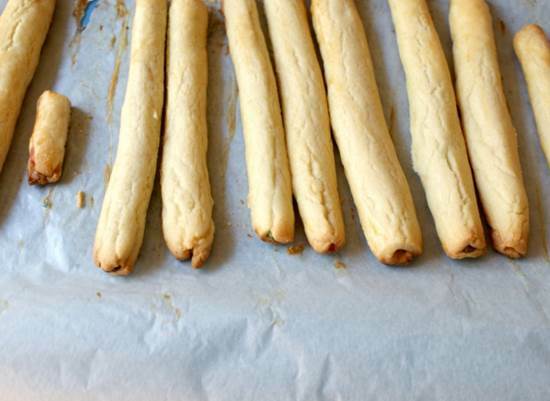 Place the strips of dough on a baking sheet and bake at 400 degrees F for 15-20 minutes. 10. Take out the cookies and let them cool completely. 11. 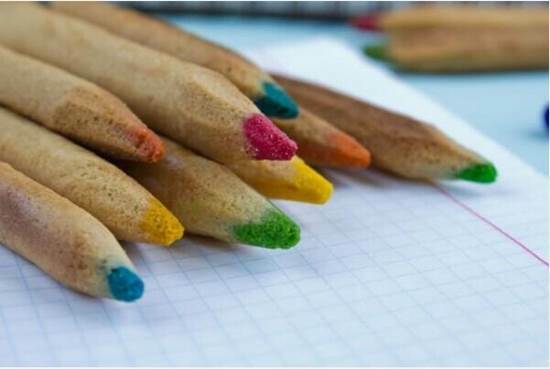 Use a knife to “sharpen” the cookies to make them look like colored pencils. Enjoy!